Bambi was born on November 15th 2015 and adopted on February 14th 2016. She became her mom’s little valentine since then. Her Mom never had a pet before but when she saw Bambi’s photo’s online, she just knew. She travelled 4 hours just to see her. She says … “the previous owner is a very nice person and when she said I could have Bambi I almost cried”. Bambi is always a little shy and timid but very calm and peaceable. The two built their relationship slowly and from the heart she says “but I really love her, I know she feels the same when she cuddled in my arms”. 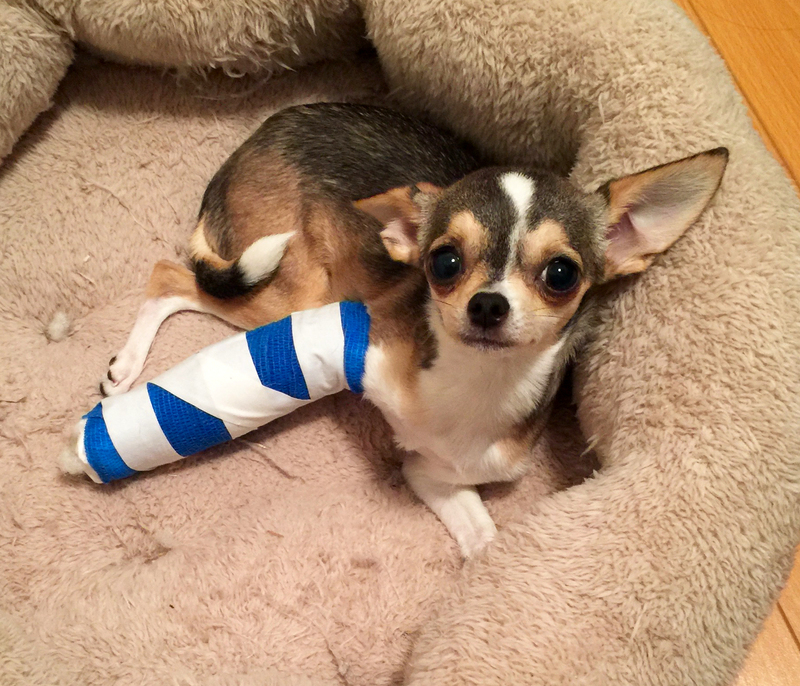 When Bambi broke her leg it was terrifying for her Mom, because she was screaming and crying so hard. It was purely an accident while romping around the house. They went to the vet immediately, Surgery was needed and as soon as possible, but the cost was $2000. It was a stressful time Mom, she paid what she could and the Maggie May Fund donated the balance. 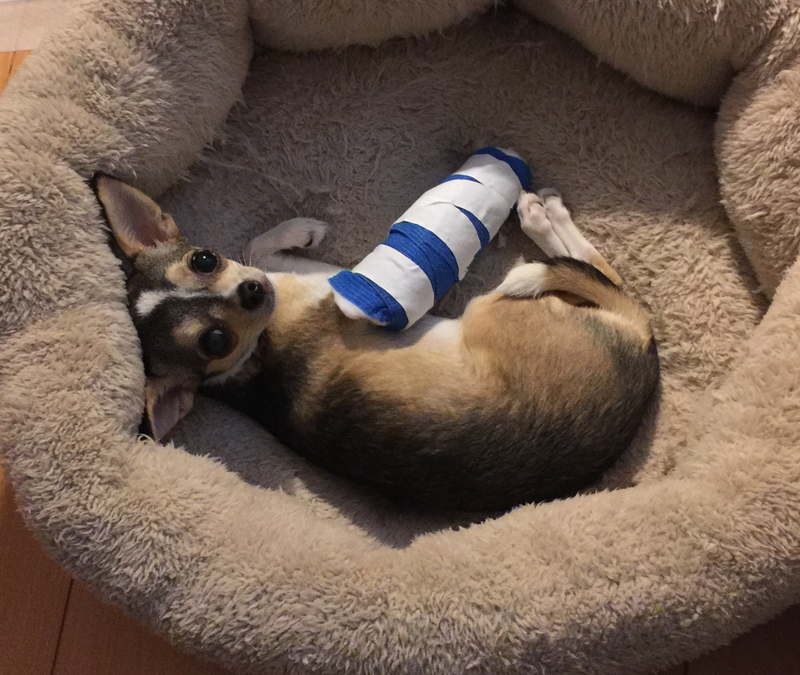 Bambi is recovering from the surgery well, no more playing around for a while. We hope for new photo’s soon! Bambi’s Mom has a special message …. “I would like to thank Eva and every member of her team. Also, I would like to thank all the good-hearted people who made a donations for Bambi, and I would like to help other people and their pets in the future as well”. With your support we were able to help with the surgery cost and to give this sweet little girl a great chance at a long, healthy and happy life.